PPMA, which serves as the public outreach arm of NPMA, has announced the resignation of Missy Henriksen, executive director, effective in June 2015. Henriksen has taken a position with the National Association of Landscape Professionals (NALP), where she will serve as the vice president of public affairs. According to information released late last week by the Virgin Islands Department of Planning and Natural Resources and the EPA, the federal and local investigation into the methyl bromide poisoning of a Delaware family on St. John last month is expanding to other Virgin Islands and Puerto Rico. “Stop Use” orders were served on at least 3 companies. The investigation has spread to distributors and applicators in Puerto Rico, as well. As we reported last week, EPA has asked state regulatory agencies to increase their scrutiny. Please click here to view the release. Introducing a new NPMA member benefit, National Fit Testing Services. National Fit Testing Service offers you an easy economical way to achieve OSHA compliance. At your convenience, National Fit Testing Service's technicians come to your site and perform Qualitative or Quantitative fit testing of your employees in accordance with OSHA Respiratory Protection Standard 29 CFR 1910.134. Mark your calendar for the 2015 Mid-Atlantic/Carolinas Summer Conference, July 29-Aug. 1 in Myrtle Beach, SC. 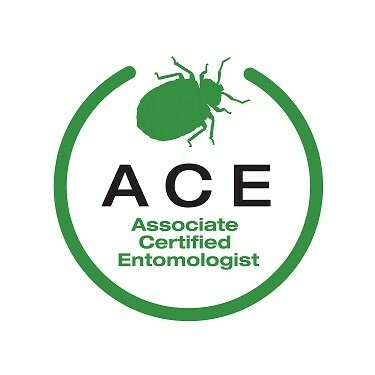 The conference will feature a mix of in-depth management sessions, interactive training, and technical courses featuring the latest research in the pest management industry. Stay tuned for more details and registration! Rumors continue to swirl as to when an announcement from the White House Pollinator Task Force will happen and what it will encompass. While much speculation has revolved around an announcement taking place on Wednesday, April 22, it is unconfirmed at this time. If NPMA receives notification that an announcement will be made, we are prepared to quickly review and provide summary, guidance, and, if warranted, a response on behalf of the industry. NPMA, in close cooperation with the Colorado Pest Control Association and the Rocky Mountain Agribusiness Coalition, is working to ensure that the bill re-authorizing the Colorado Department of Agriculture passes the legislature. Currently, the bill was passed without amendment in the state senate but has yet to clear the house. Representative KC Becker of Boulder, Colorado is proposing several amendments. CPCA representatives will be joining a stakeholder meeting this week to discuss amendments with Representative Becker and next steps to potentially bring the bill to joint conference. If a bill is not successfully passed this year, CDA goes through a one-year wind down period as part of the department sunset. NPMA will continue to be closely engaged with the coalition and provide updates next week. Last week NPMA staff attended the joint meeting of the State FIFRA Issues Research and Evaluation Group (SFIREG) Pesticide Operations and Management (POM) and Environmental Quality Indicators (EQI) working committee meeting at EPA headquarters in Arlington, Virginia. The two working committees discussed the use of drones for aerial pesticide applications in agriculture and was updated on Oregon’s actions regarding neonicotinoid use in their state. EPA Headquarters updated the committees on the status of the Agency’s efforts with regard to pollinator protection, indicating that they had no additional information regarding the Pollinator Task Force’s report or when it would be released. The group discussed potential ways to measure the effectiveness of state pollinator protection plans in the future as well. The committee discussed smart label initiatives and how to improve existing labels for better understanding and easier access. EPA provided updates to the Enhancement and Compliance History Online (ECHO) website. EPA addressed the ongoing reevaluation of commodity and structural fumigants. Both EPA staff and SFIREG acknowledged and commended the recent fumigation workshop spearheaded by NPMA and ASPCRO. The timeline for EPA’s final reevaluation remains several years away as EPA continues to gather information. Let's face it, happiness and work do not tend to go hand in hand. A 2013 Gallup study, which reported data from more than 180 million people, found that just 13 percent of us consider ourselves to be "happily engaged at work." In a win for bees, Lowe's announced it will stop selling a pesticide that is suspected of killing honeybee populations that are necessary for pollinating crops, completely phasing it out of products and plants by the spring of 2019. In today's connected world, employees often ask their employers to permit use of their personal smartphones, tablets, laptops or even their home desktops for work. Workplaces differ, and there is no "one size fits all" bring your own devices (BYOD) to work policy for employers. Allgood Pest Solutions is pleased to announce its acquisition of Allied Lawn, Termite and Pest Control in Knoxville, Tennessee. The Michigan Pest Management Association held elections for the Board of Directors at their General Membership Meeting in February. •1st Defense Termite & Pest Control, Inc.